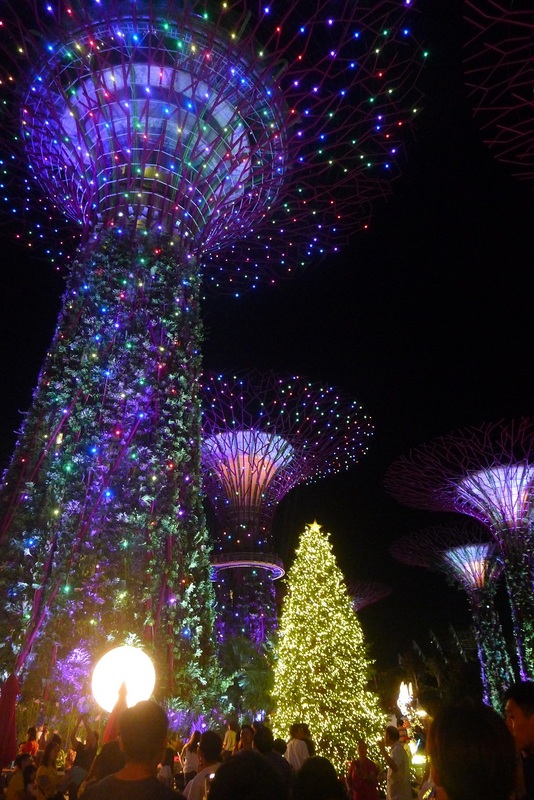 Header of the Month: Christmas Wonderland in Singapore. 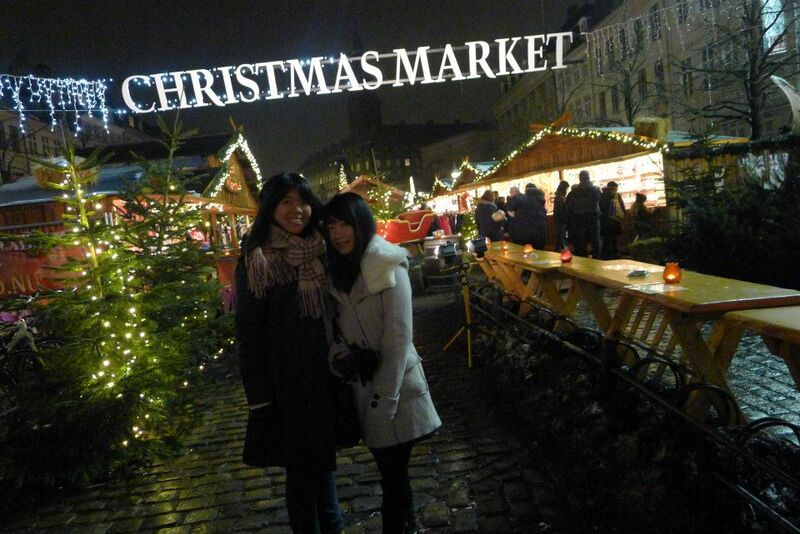 I love Christmas markets. There is something very charming and romantic about those rows of little wooden huts with slanted roofs, fairy lights tracing their edges, selling everything from warm wine to cakes and earmuffs. Over the years, I have visited Christmas markets in Copenhagen, London and Paris and never seemed to get enough of them. They are definitely one of the things that I miss the most from being in Europe. 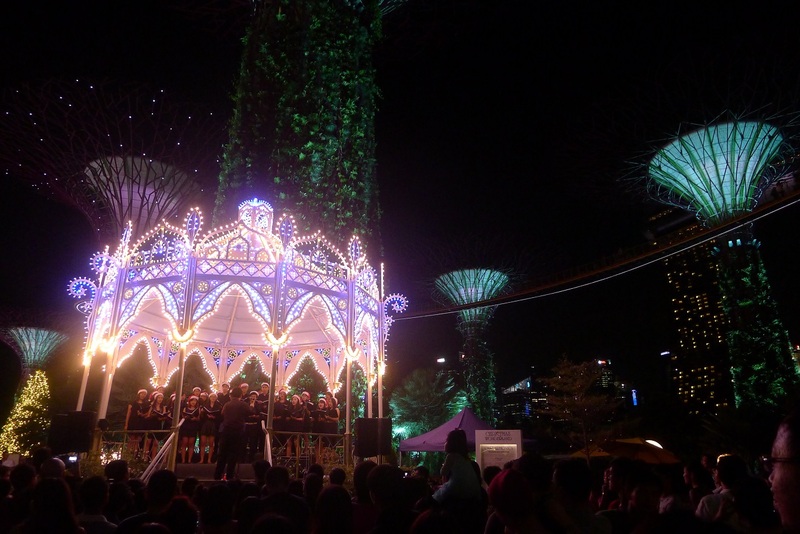 So imagine my thrill and excitement when I found out that Christmas market has finally come to Singapore. I love it so much that I have been there not once, not twice but three times over the past week! 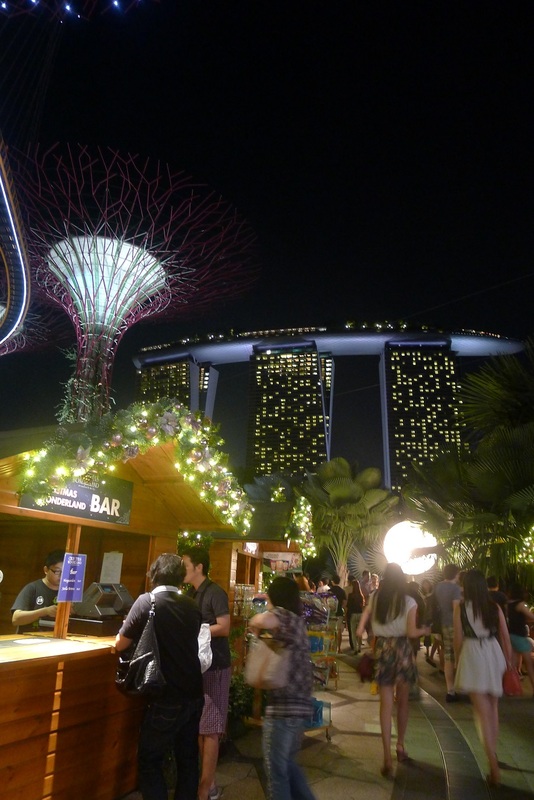 The Christmas market (or Christmas Wonderland as the official name goes) is located at Gardens by the Bay’s Supertree Grove. The Supertrees on normal days are already very impressive if not somewhat menacing (a lot of people have mixed feelings about the veins sprouting everywhere from the ‘trees’ and I do agree that from afar it looks kind of odd). I always compare them to scenes from the movie Avatar. 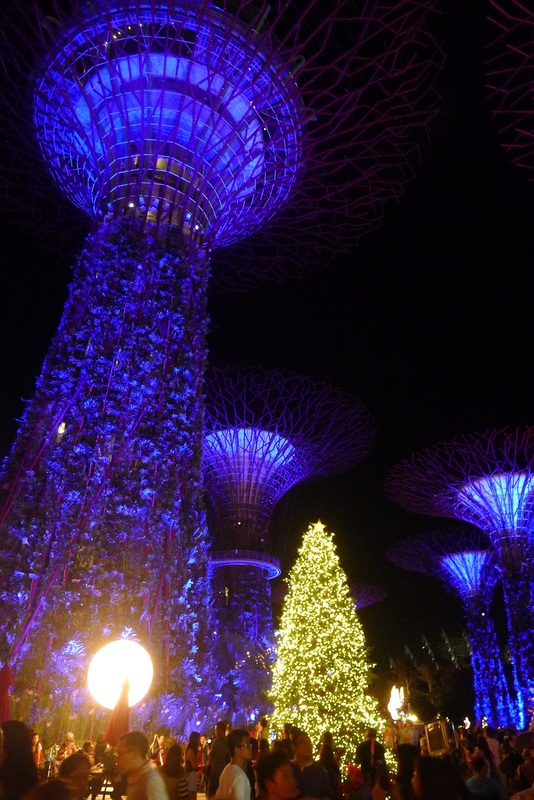 As if by magic, the futuristic trees actually work well together with the Christmas wooden huts. The moment I stepped into the grove, I felt like I was being Portkeyed (Harry Potter geek word for ‘transported’) into a different world. Just around the corner was the CBD area, the skyscrapers may be there and people may be slogging their nights away in their office cubicles. But here, here was a different world: Christmas songs playing, lights twinkling from all around the corner, laughter and excitement buzzing everywhere and gigantic trees looking beautiful without leaves. 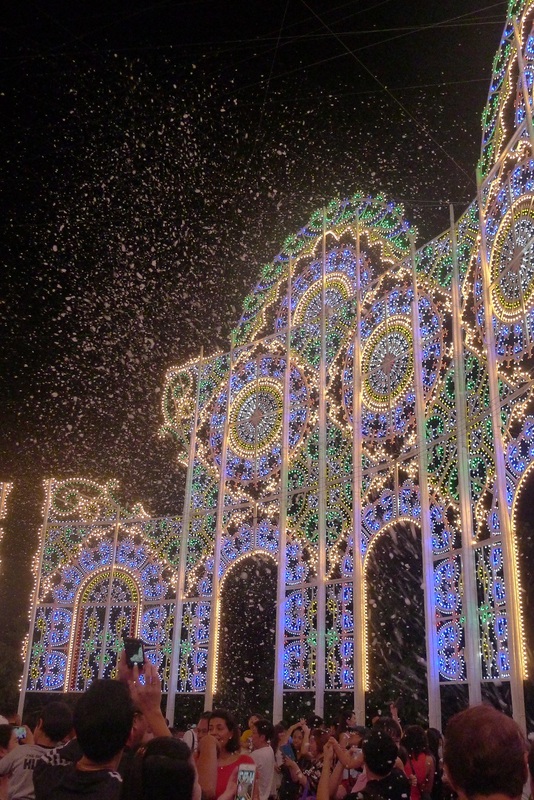 If you are wondering what the illuminated carousel was, it was actually a pavilion where some choir groups would be Christmas carolling at certain times during the day. I would be a proud parent if my kid was singing in there. 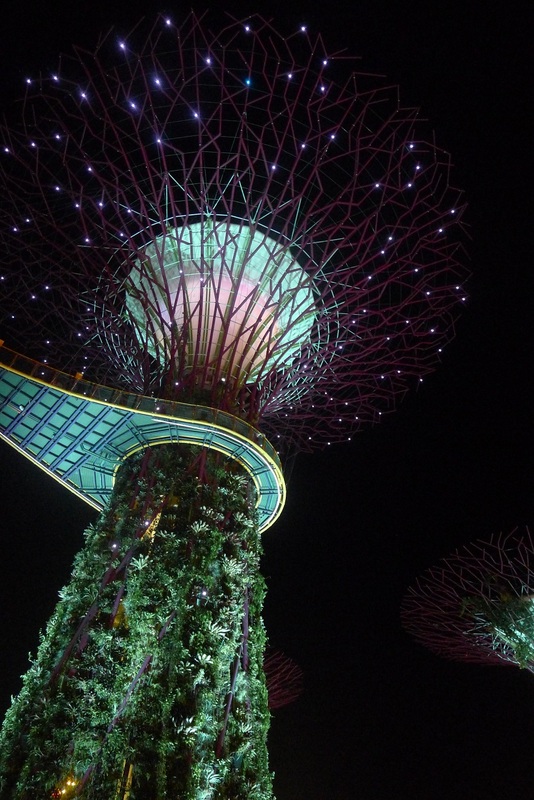 As if this sight was not pretty enough, at 7:45 and 8:45 pm every night, Garden Rhapsody would be playing. The trees literally started singing and made me want to dance amidst the thick Christmas atmosphere. And it did, kind of. These guys have really thought of it all. 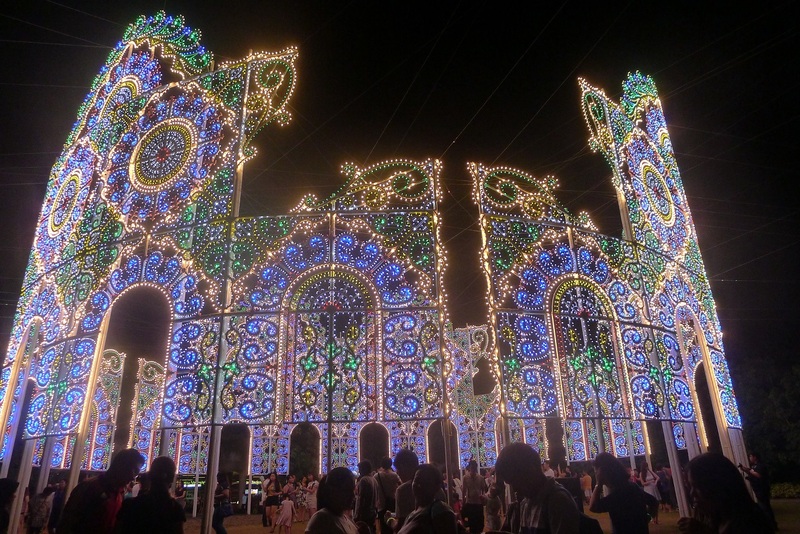 Tucked at one end of the grove was this massive structure (that looked more like a Deepavali than Christmas decoration, but still pretty anyway so who cares). And four times a day, this exact patch in Singapore would ‘snow’. 1. The Christmas market will end this weekend on 21st December. 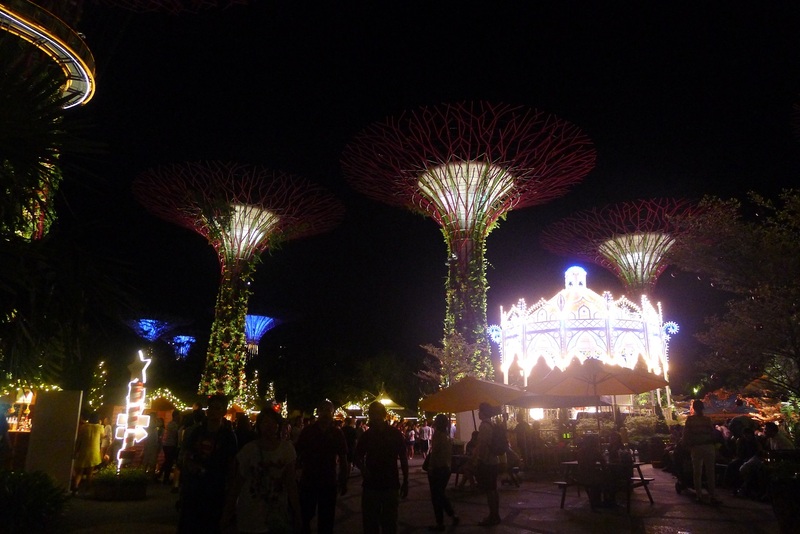 So if you are in Singapore and haven’t figured out what to do, do check out Christmas Wonderland at Gardens by the Bay. If you have got plans for the weekend, go anyway, because this place is pretty freaking awesome. 3. Food here is understandably overpriced. So do fill yourself up before coming and bring bottled water if you are not willing to pay for a tiny sandwich that costs 10 bucks. The ice cream from the Ice Cream & Co. is pretty good though (5 bucks each for a gourmet ice cream sandwich). 4. 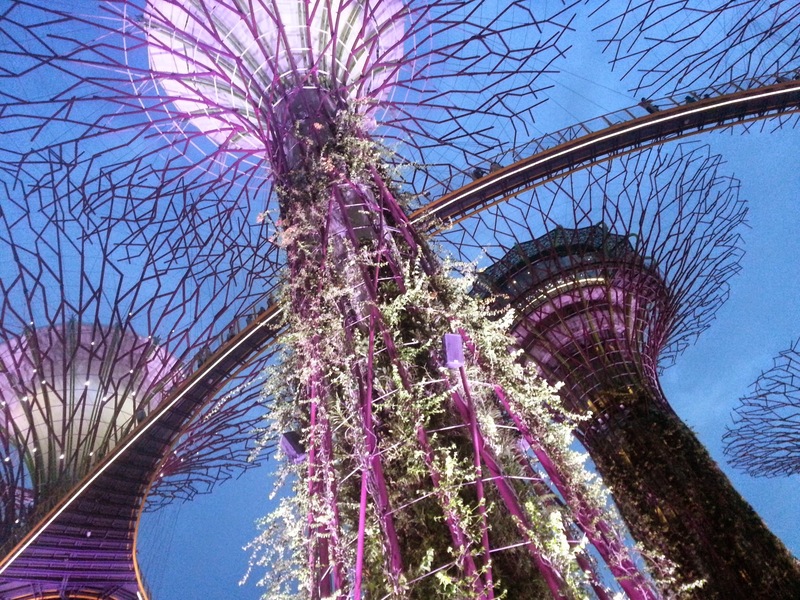 Do not miss the Garden Rhapsody at 7 45 pm and 8 45 pm. 5. The ground at the Christmas Blizzard area is always damp and soggy due to the foam snow, so save your best shoes and come out in flip flops! Happy Christmas in advance everyone! Previous postGeylang, and its hidden charms. Next postA blast from the past: 2009 travel memories.